The reviews on The Pre are both good and bad. 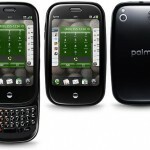 Software-wise, the Palm Pre has quite a few interesting innovations that push the concepts of what people can do with smartphones. But the hardware is quite cheap, flimsy and dangerous even. The device feels great in the pocket and when holding in your hands. The customer will able to pull all his contacts from Facebook and Google into the phone quite easily by sending his number through Google Voice, despite the Pre not supporting syncing to OS X Address Book, so it was a near-seamless transition. The text and email notifications are informative without being too intrusive. 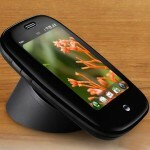 Hence, its definitely a capable smartphone. The Pre has the best multi touch screen that has come to the market till date. The phone’s screen is smaller than both the iPhone and the G2’s, but has the same 320×480 resolution that equals both, which means the pixels are just more compact. The display is actually slightly crisper, and just slightly nicer than the iPhone. The black bezel also provides a great contrast to the screen, bordering it with an eye-soothing darkness that makes images pop that much more. The multi touch option of the Pre is glorious! The touch is more accurate, more responsive and much better than the iPhone’s. The invention of a ripple effect where you press the screen is genius, and goes partway to solving the chronic problem of passive feedback—whether or not the OS knows you’ve pressed the screen. The Pre has a sharp ridge digging against your palm once it is slid open. Palm instructs you to open the phone by placing your thumb on the screen itself and pushing up but since it is a touchscreen and by placing your thumb on the screen you’re actually moving stuff around. The rest of the body is not nearly as bad. The two halves of the device come together fairly tightly, but not tightly enough to prevent you from being able to twist the top and bottom like a plastic. Despite these issues, while closed, the phone feels just right in your hand. It’s thicker than the iPhone. If Palm had just been able to make the Pre feel and look less plastic, the closed-state exterior would be almost perfect. Bottom edge of the phone is way too sharp. The keyboard is not good enough for a smartphone. It has a very central based key layout, and each individual key feels slightly too rubbery and stick, which offers lots of resistance and doesn’t depress quite enough to get a good tactile feel while typing quickly. 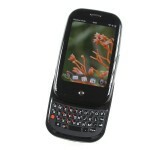 It has a 3-megapixel camera in which photos are fine with ample sunlight, but in low-light conditions pictures become grainy. Music and videos are handled well. The OS is awesome and it manages to create a coherent internet-based platform that’s even more connected than Google Android. On the whole, the OS is quite pleasant looking—with slick icons, a 5-app launch bar and a three-screen menu system that houses all your applications. Overall, the Pre is neither too good nor bad. It is different and that is something everyone would appreciate!